Sweet potato casserole recipe - Eat this. I'm of the opinion that sweet potato casserole can and should be eaten year round! I really need to try this recipe. Glad to see you back at the blog! I am having a bit of a 'kitchen funk' of my own right now, so it is good to see that yours was short-lived. Perhaps it is inevitable when moving to a new city/job/etc. 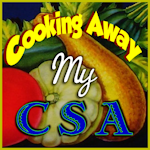 Sam - Yeah, I think that uprooting your life tends to put a hitch in the cooking mojo. I hope you get your groove back soon! So, Katie, I was searching for recipes when lo and behold your blog came up: Cauliflower with Indian Spices. Fabulous. Ellen - What are the odds? I forgot about that recipe - I should try it again. 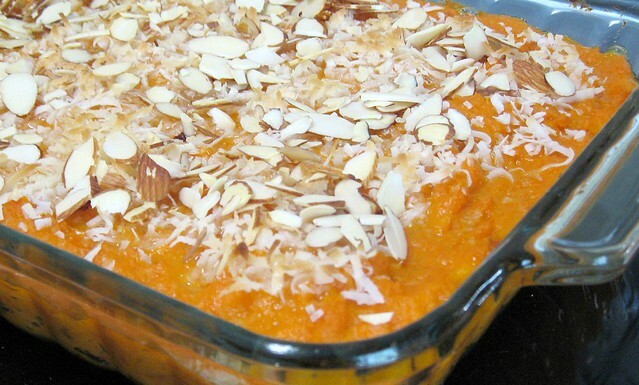 I love sweet potato casseroles, but have never thought of putting coconut on it. Looks great! I just found your blog, but looks like you haven't been here for awhile :( Really love your recipes using alternative (gf) grains, and can't wait to try them! Thanks for sharing.